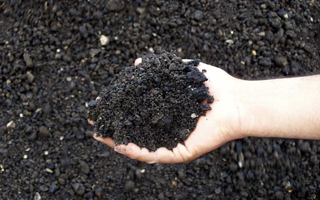 In certain circumstances we may be able to provide delivery of recycled asphalt millings to your location. Availability and pricing varies based on location of work and contractual obligations. Please contact us for more information. As sub-base material directly beneath, and fully contained by, a paved road surface of either bituminous asphalt or Portland cement concrete. Asphalt millings may be used as surfacing materials if an appropriate binder is applied to keep the millings in place. Liquid asphalt (tack) may be used to bind the asphalt millings in surficial applications. This may be less expensive than applying finished asphalt or concrete to meet the sub-base requirements described above and meets the need to fully contain and bind the particles to prevent wind and water erosion. Asphalt millings may be used to construct, or repave, needed roadway or vehicle use areas such as parking lots if such application is performed when the material is sufficiently hot to make the asphalt pliable and adhesive, that is, if the millings contain sufficient viable asphalt (or additional asphalt “tack”) to bind the millings particles on application. This application of the hot millings must be followed by immediate hot rolling to complete the integration of the milling pieces and particles into a bound surface that is similar in consistency and performance to an integral asphalt-paved surface such as a road. Rolling the surface will not only serve to permanently rebind the milling particles into the hot asphalt matrix to prevent erosion but also will ensure a flat paved surface suitable for vehicular use.